Just Listed: Mission Viejo Steal! Home » Home Sales » Just Listed: Mission Viejo Steal! Cheryl Marquis is off to a busy 2013! Not only did she help her long-time clients find their dream home in the beautiful oceanside community of Cyprus Shore (read about it here! 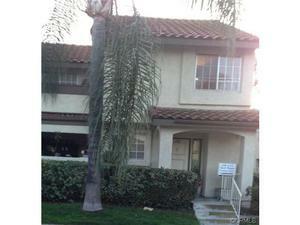 ), but she is now working with another client to sell his Mission Viejo home as a short sale! As the real estate market picks up, short sales are becoming less common in Orange County, but a few steals still exist and this home one of them! Cheryl and her short sale specialist (an integral member of The Marquis Group!) have been working with her client to make the often stressful short sale process a smooth one. Given the home’s location and price, she has no doubt it will go quickly. In fact, in the first two days on the market, Cheryl received over 25 offers on the home! This lovely family home is 2 bedrooms, 3 bathrooms and is nestled in an adorable community of Las Palmas in Mission Viejo, a town known for its great schools and safety. The cozy home boasts an open kitchen that leads into the family room — a great space for children and adults alike! Additionally, this two story home is situated on the end of the street, providing extra privacy, and is directly across from a fun park! As we have written about in previous blog posts, short sales can be complicated and offers are essentially subject to the bank / lender. A great offer may or may not get approved by the bank, which can be a frustrating process for interested buyers. This is a fabulous investment property and not the only one Cheryl has on her hands! If you are interested in buying an Orange County home for a steal, whether as an investment property or as your future home, contact Cheryl and The Marquis Group today.